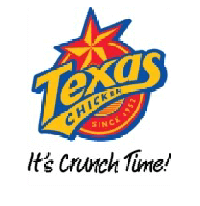 Our Company, Texas Chicken (Malaysia) Sdn Bhd, had signed a Franchise Agreement with Cajun Global LLC, the franchise holder of the Texas Chicken based in Atlanta, USA, to develop “Texas Chicken” restaurants in Malaysia and Brunei in July 2012. Texas Chicken (Malaysia) Sdn Bhd is a member of Envictus International Holdings Limited (formerly known as Etika International Holdings Limited), a company listed on the Main Board of the Singapore Stock Exchange. Texas Chicken is a highly recognized brand name in the Quick Service Restaurant sector and is one of the largest quick-service chicken concepts in the world. Texas Chicken serves freshly prepared, high quality, flavorful chicken and tenders with signature sides and "hand-made from scratch" biscuits.